Gaming applications are rapidly expanding into the realm of education. Game-based education creates an active and enjoyable learning environment, especially for children and young adults who regularly use gaming for recreational purposes. Due to the evolving nature of education, gaming provides a transformative learning experience for diverse students. 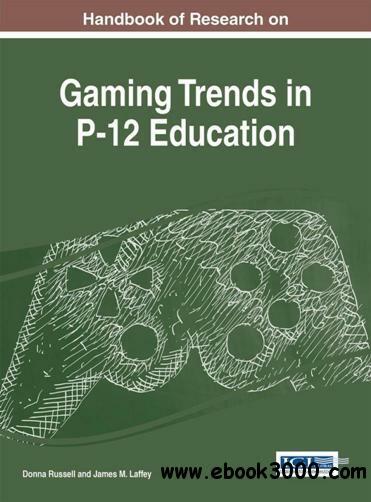 The Handbook of Research on Gaming Trends in P-12 Education provides current research intended to aid educators, school administrators, and game developers in teaching today's youth in a technology-immersive society. This publication melds together gaming for entertainment purposes as well as gaming applied within educational settings with an emphasis on P-12 classrooms. Featuring exhaustive coverage on topics relating to virtual reality, game design, immersive learning, distance learning through 3D environments as well as best practices for gaming implementation in real-world settings, this handbook of research is an essential addition to the reference collection of international academic libraries.